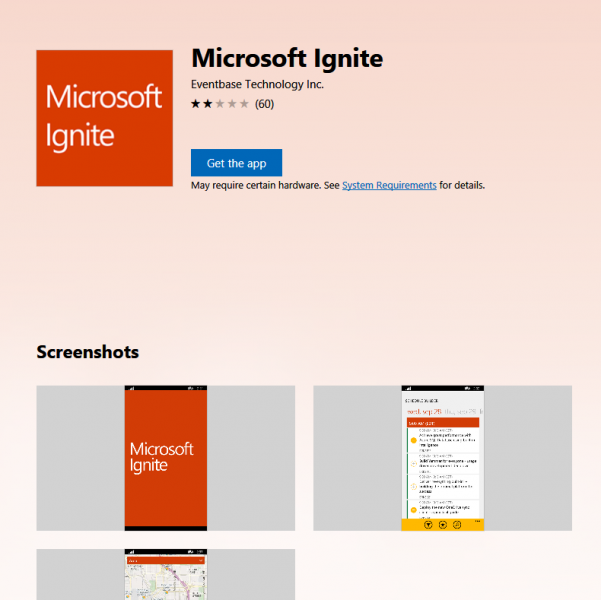 Microsoft Ignite is now less than a month away and earlier this month the collection of apps for Microsoft's annual mega conference for IT Pros and Developers were updated for 2017. 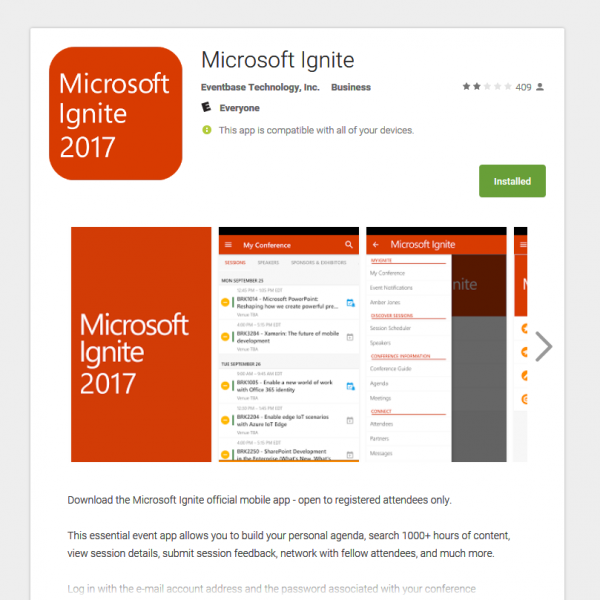 With the Ignite schedule now available, attendees can download the apps for their favorite platforms and begin the arduous task of deciding what sessions to attend and which ones they have to deconflict. I just went through the schedule myself this morning and there is not one day of the conference that I do not already have a couple of sessions which I want to attend and they are both happening at the same time. Of course, there are also others that bump up against each other and leave very little time to get from one side of the event venue to the other. That is why early access to sorting these things out is critical to reducing your stress levels leading up to Ignite. All of the mobile apps give you full access to your schedule, the capability to make changes on the go, opt-in to connect with other attendees, get push notifications, complete session surveys, and find out what partners will be present on the expo show floor. You can also access your schedule and make changes from the MyIgnite web portal. All changes made here or in the apps will sync across all your access points. IT Pro: Windows and SuperSite: Windows will have a team in Orlando to cover all the news coming out of Ignite so stay tuned to those sites as the event unfolds. But, wait...there's probably more so be sure to follow me on Twitter and Google+.